Santander’s Vincci Puertochico. This modern boutique hotel right looking right on the bay offers amazing views of the water, the pretty port and the Ribamontan al Mar Surf Reserve. The four-star property is not cheap but it’s location means you have everything on your doorstep. You’re on one of the prettiest streets in Santander, Calle Castelar – and nearby you’ll find the old cathedral, all the museums and galleries plus the city’s best restaurants and tapas bars. And you can still walk to the beach and the city’s museums. If you fancy a junior suite do book well ahead – there’s only one. Hotel del Oso in Cosgaya, Cantabria, is a great family-run hotel in a tiny hamlet located within the Picos de Europa National Park. It’s a charming place with comfortable rooms, service that is second to none and an unbeatable buffet breakfast featuring freshly baked treats. It’s just 5 km from the scenic cable car which will whisk you up in minutes to one of the peaks standing at 1847m. The restaurant offers regional specials and lots of great fresh local produce including many wonderful cheeses and honeys. History buffs will be interested to know that little Cosgaya was the birthplace of Don Pelayo, the man who changed the course of history by providing resistance to the Moorish army advancing Northwards and towards France in the 8th century at Covadonga in nearby Asturias. Silken Gran Hotel Domine in Bilbao is a 5-star modern hotel literally in front of the Guggenheim. Great for dining, the views from the terrace bar on the 7th floor are wonderful. The Spanish artist and designer of the hotel, Javier Mariscal, came to international attention for his work on the 1992 Olympics in Barcelona. The Valencian’s touch is visible throughout the hotel – with every detail right down to the uniforms designed by him. Recently reopened after an extensive renovation, you cannot mention hotels in Northern Spain without referencing the Maria Cristina – a Luxury Collection Hotel in San Sebastian. The location, the history and the standard of service makes this a winner. You’ll also enjoy the wonderful foodie store inside. And the views are amazing. You will not find a better place to embrace the old world charm of San Sebastian and fabulous North of Spain than here. Eating out is rarely expensive in Spain and Northern Spain is no different. 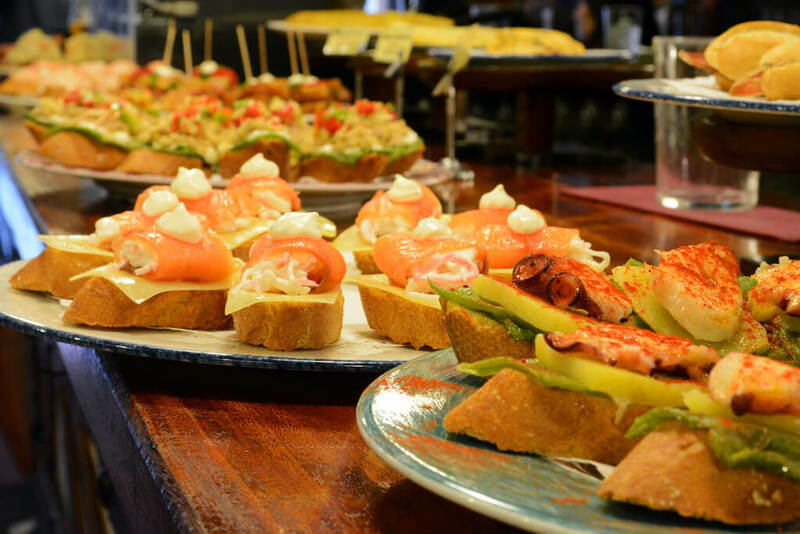 Famed for its seafood and for its thriving tapas or pintxos scene, it’s a must-see for foodies. 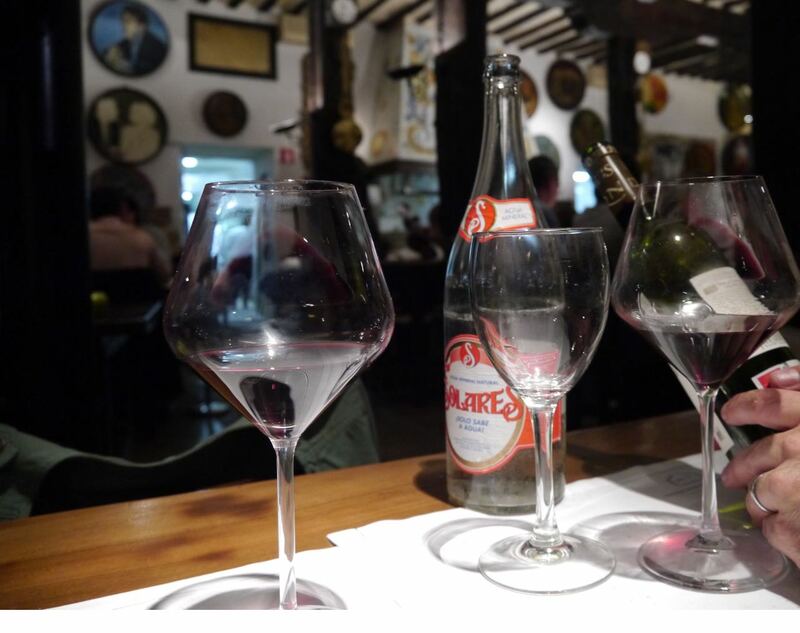 Santander’s Bodega El Riojano serves up well priced and well executed traditional fare amidst its wonderful art collection. Start with some cured meats and cheeses – you have to try the cecina – a cured-beef platter that is drizzled with olive oil and eaten with husks of bread. 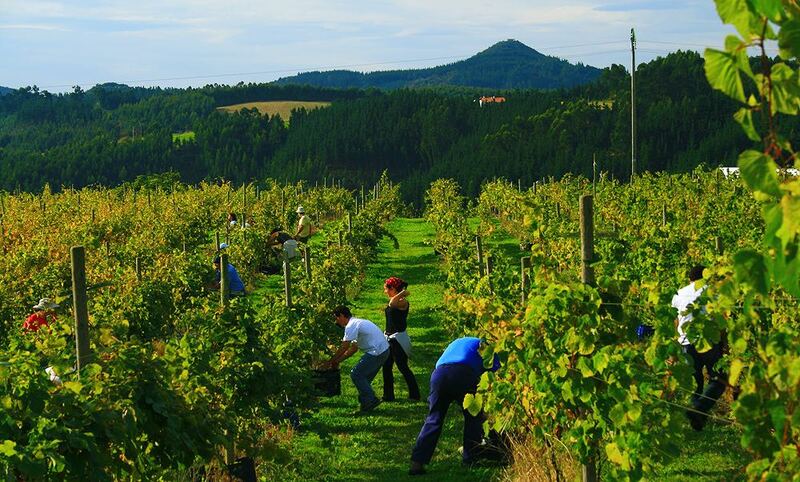 Do sample a Cantabrian wine while here – both whites and reds are now being produced again in the region by bodegas recovering the old tradition and some utilizing decades old vines. After you order your mains, try to find the wine barrel painted by Pablo Picasso. Make sure to leave some room for the desserts. And you might wish to have the obligatory post-prandial gin & tonic in the side-bar La Moskva. Cantabria’s Cenador de Amos in Villaverde de Pontoons – just 20 mins from Santander – is a Michelin-star restaurant with all the class and style but none of the pretensions. Enjoy the regional dishes with a twist that’ll include bean stews, slow cooked oxtail casseroles. Wonderful desserts and a great wine list covering all of Spain. Can’t make it to Villaverde? Then you’ll be interested to know that chef/owner Jesus Sanchez will also be heading-up the restaurant at the soon-to-be-opened Botin Centre in Santander city. Read about Cantabria’s Michelin-star dining here. If you want something completely unexpected – how about the Cantabria Chef of the Year 2015 who operates from a gas station café in Meruelo, Cantabria? Ruben Abascal’s food is amazingly creative and his restaurant’s location makes it all the more surreal. Don’t ask us to choose between Bilbao’s century old institutions such as Café Iruna and the new kids on the block such as the private dining club in a salt warehouse known as Bascook. Try both which are very inexpensive and decide for yourself! San Sebastian is our go-to when it comes to world-class dining. Who else can compete with the reputation and innovation that’s going on here? We recommend all its Michelin star holders. With names like Andoni Luis Aduriz (Mugaritz), Pedro Subijana (Akelarre), Juan Mari Arzak (Arzak) and Martín Berasategui (Martín Berasategui) you can’t go wrong. Our personal favourite is probably Mugaritz – a two Michelin-star establishment just 25 mins outside town. Chef Andoni Luis Aduriz trained at El Bulli and opened up shop in 1998. Today’s it’s the 6th best restaurant in the world and, as you’d expect, it’s all about the experience. Years ago we had the pleasure of organising an incredible wedding reception here for 120 people and can’t praise the Mugaritz team enough! If you are visiting in the summer months we would recommend the local Northern tuna fish known as `bonito´ as well as the grilled sardines. 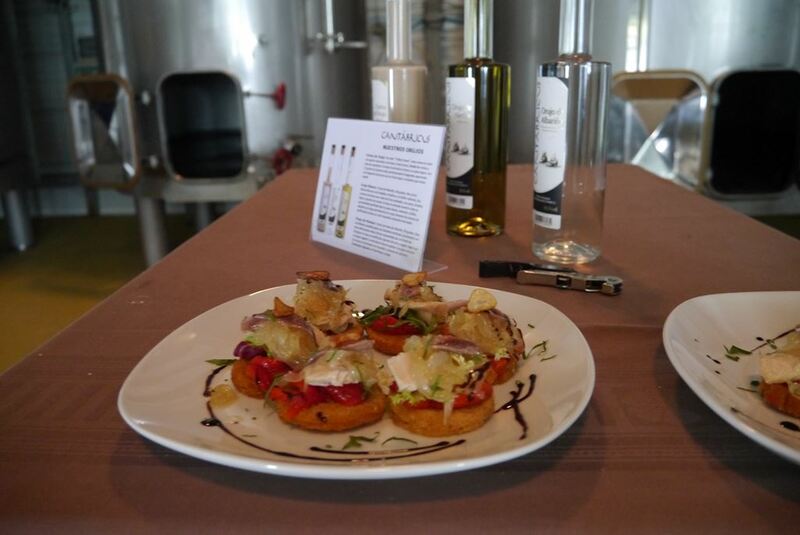 Seriously scrumptious especially if washed down with a chilled local white wine from Bodegas Vidular. If you are travelling during the cooler months, embrace the ‘platos de cuchara’ or locally-grown legume casseroles and stews which are hearty, tasty and unbeatable. White beans with clams (alubias con almejas) are delicious. In fact anything slow-cooked is wonderful from the beef cheeks to oxtail. We would avoid Mediterranean dishes such as paella and rices. Dairy produce here is exceptional so ordering a cheese platter makes lots of sense. La Jarradilla and Idiazabal are two of our favourites. And let’s not forget the delicious Cantabrian Picón Bejes-Tresviso blue cheese. Fish is especially revered in all the port towns and villages across the North. In Santander, you should try the rabas which is a squid dish served as an aperitivo. Crabmeat is also amazing – ask for ‘necora’. In Basque restaurants, you should try fish cooked ‘al pil pil’ and anything you see prepared ‘a la vasca’ will be locally styled. Marmitako is a great Basque fish stew using Northern tuna which you must try in the summer months. Peppers are very important to the colour and flavour of the dishes in Basque cuisine. And when it comes to wines, the local white Txakoli is very popular and for red it must be Rioja Alavesa wine. San Sebastian is the Basque city that’s world-famous for its pintxos (skewered tapas) – often visible on the bar counter but sometimes freshly prepared in the moment. For miniature food at its best – eat what the locals are eating and try to get in to eat at a gastronomic society called a txoko too. If you want to be in the thick of things in Santander, we recommend anywhere around Canadio Square. If you’d like to have a drink with a view, do check out the five-star old world Hotel Real. And the bar at Hotel Bahia offers some nice views of the new Botin Centre and the bay. If you want to do some people-watching during the day, we recommend El Puerto bar from 2-3pm for aperitivos and some wonderful seafood too. And for a nice afternoon coffee laced with brandy go to the historic Pombo Square and order a carajillo – outside on the terrace whenever possible. Check out our detailed city guide to Santander for more ideas. Great for a meal but also a drink – try Michelin-starred Annua at San Vicente de la Barquera on the Cantabrian / Asturian border. We recommend a platter of local oysters with a Martini or a local glass of white wine. We have a very soft spot for Rioja Alavesa wines and think it’s hard to beat having a signature wine at one of the top wineries. Ysios is one of our favourites – designed by Calatrava – it’s impossible not to be impressed by the architecture and the artistry. While there’s isn’t a bar, you can attend a tasting and the views are truly splendid. For its personalised wine, it has to be the urban winery cleverly named Bodega Urbana in downtown Bilbao run by enologist Ana Martin. So many great wine bars and restaurants where you can have a glass of vino and enjoy the atmosphere! The Picos de Europa National Park offers a stunning collection of picturesque hamlets nestled into the most dramatic of mountain peaks and gorges. The Asturian side of the park is lovely but we especially recommend the Cantabrian side. Base yourself at the Hotel del Oso near Potes and take the cable car from Fuente De to the top of the peaks. You can also hire a 4-wheel drive chauffeur which gives you access to some of the lesser-known walking and hiking routes within the park. Most of the hotels will prepare packed lunches and identify nearby trails. We always try to factor in a visit to a food-producer or two. Everything tastes better when its sampled in situ and when the setting is a National Park, well – it’s the stuff memories are made from. Just 90 mins from Santander, this is a perfect 2-3 day break but if time is tight- you can also squeeze in a daytrip. If you are curious about the Camino de Santiago, you should consider a day or two on the Northern Camino (perhaps the Noja – Santander section along the Trasmiera Coast) or the less-well-known Camino Lebaniego that passes through Potes to the Monastery of Santo Toribio where you’ll find the largest piece of Lignum Cruces or the original cross believed by many Roman Catholics to be the biggest surviving piece of the cross upon which Jesus Christ was crucified. 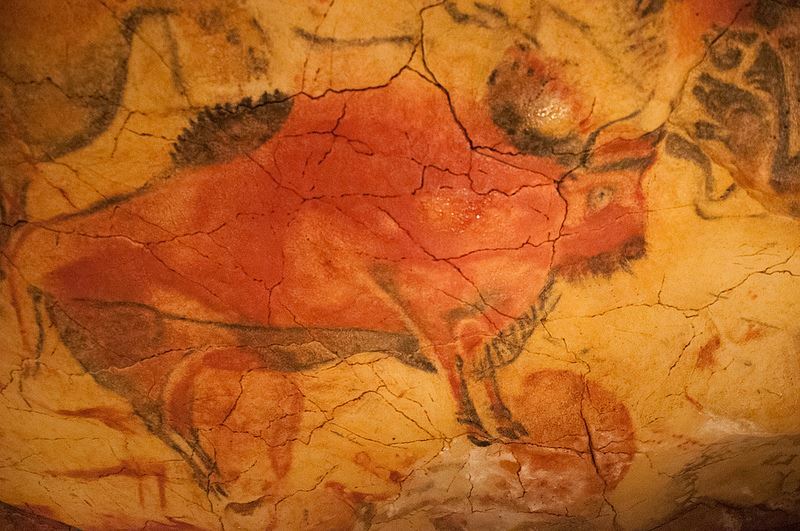 Cantabria cave art is rightly attracting huge interest at present and Antonio Banderas is starring in a movie about the famous Altamira Cave. We love Altamira but if you have the time we recommend the other caves such as El Castillo and La Moneda at Puente Viesgo where you can view original cave art. Words can’t describe the experience of witnessing these early depictions of cave life. Of course, Cantabria has plenty more charming towns and villages. Lierganes, just a short drive from Santander, has joined the select all-Spanish club that is ‘Los Pueblos mas Bonitos de España’ of which the Cantabrian towns of Barcena Mayor and Santillana del Mar are already members. Lierganes offers plenty for the day-tripper including the legend of the Hombre-Pez which is a man turned into fish, some beautiful cobbled streets, charming rural houses and architecture, a lovely Roman bridge over a beautiful river plus many excellent bars and restaurants for meals and in-betweens. Make sure to try the wonderful hot chocolate and churros at Casa Daniel and pick up a box of the handmade biscuits (Sacristanes or Corazones) at the Maria Luisa pastry shop. Don’t miss the excellent farmers market if you happen to be around on a Sunday morning. The city of Santander is also embracing its visuals arts with the new Botin Centre designed by starchitect Renzo Piano. And don’t forget the best views of the bay are often from the opposite side. You can drive or catch a passenger ferry (lancha) to Pedrena where the golfer Seve Ballesteros grew up and lived. Have lunch at the Golf Club there and I’m sure it won’t take long before you start hearing about the legend he was and how admired he was locally. 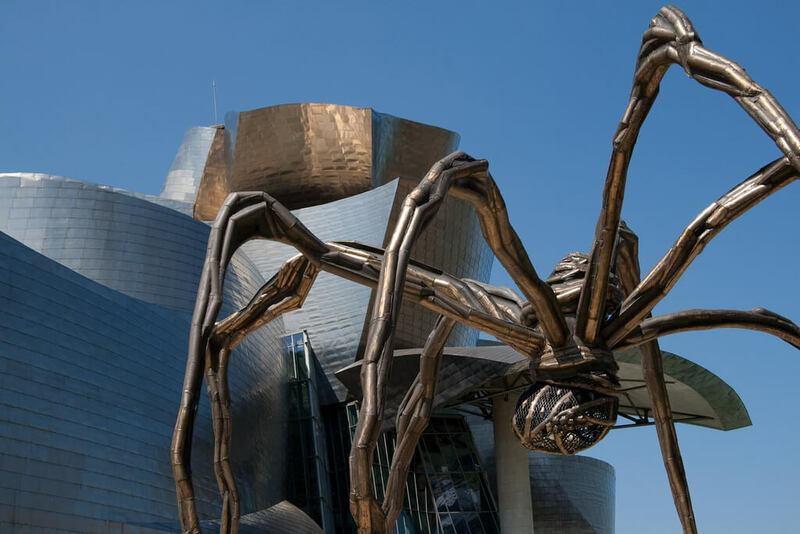 The Guggenheim is the most obvious visit in Bilbao (see our guide here) but we like to recommend a walking tour of Bilbao that also includes a visit to the other architectural feats including the UNESCO Hanging Transporter Bridge in Portugalete. We also recommend a visit to the Basque Museum of Fine Art and make sure to visit the Alhondiga – a former wine warehouse now a cultural centre that’s been re-designed by Philippe Starck. And you can’t understand the Basque Country if you just see Bilbao. 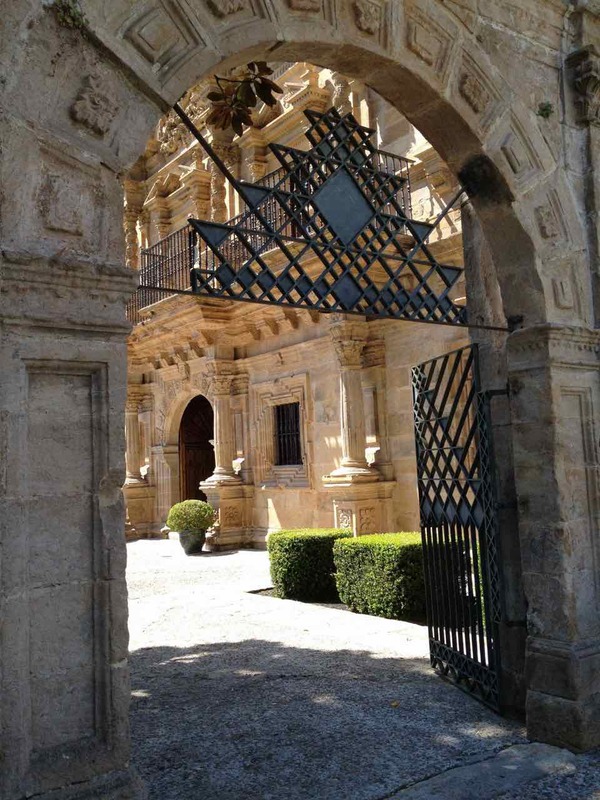 Go inland to Rioja wine country to visit the monasteries of Yuso and Suso, birthplace of the Castilian language, and the site where the first written scripts of the Basque and Spanish languages were discovered. And the Basque coastline is also stunning – we love San Sebastian – visit the Chillida Windcomb sculpture on the beach and take a walk up to the Monte Igueldo to see why so many people fall for San Sebastian. Don’t expect tapas or pintxos everywhere you go and only order tapas if you see others eating them. They must be served fresh! Stick to the local coffees too – don’t order cappuccinos or flat whites. Stick to solos, ‘con leches’, americanos or cortados (like a macchiato). Never order an ice-cream in a restaurant unless it says it’s home made. Eat your ice-cream from the ice-cream parlours and kiosks. 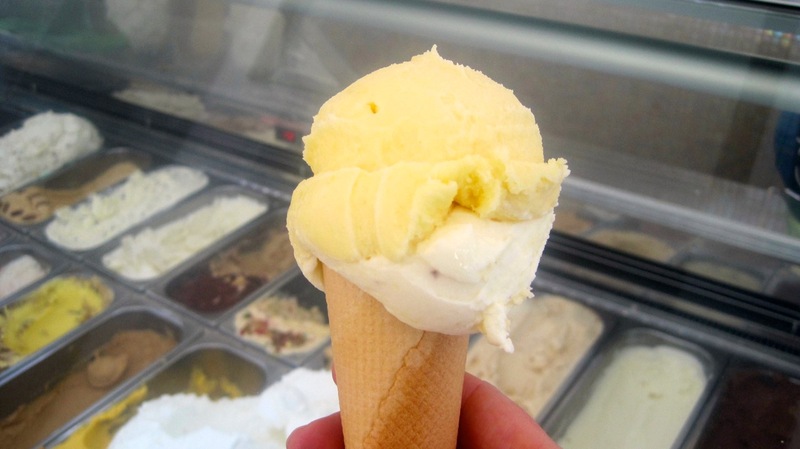 Our favourite ice-creams come from Cantabria. In Santander, try Monerriz which is open in Santander’s Plaza del Cuadro during the Summer months. We also love the ice-cream from Helados Lopez in Ontaneda. Fiestas are a wonderful way to see the locals in traditional garb although we are usually more drawn to what’s being eaten than what’s actually happening. Easter and Christmas are full of traditions and rites of passage as well as dates such as the fiestas del Carmen are widely celebrated along the Cantabrian coastline– we love watching the boats in parade out on the bay – and back on dry land – the outdoor sardine grills are amazing. San Juan every 21 June is another massive night in the Northern calendar – expect bonfires on the beach and parties late into the early hours. Public parks and coastal walks are also a great way to experience local life. 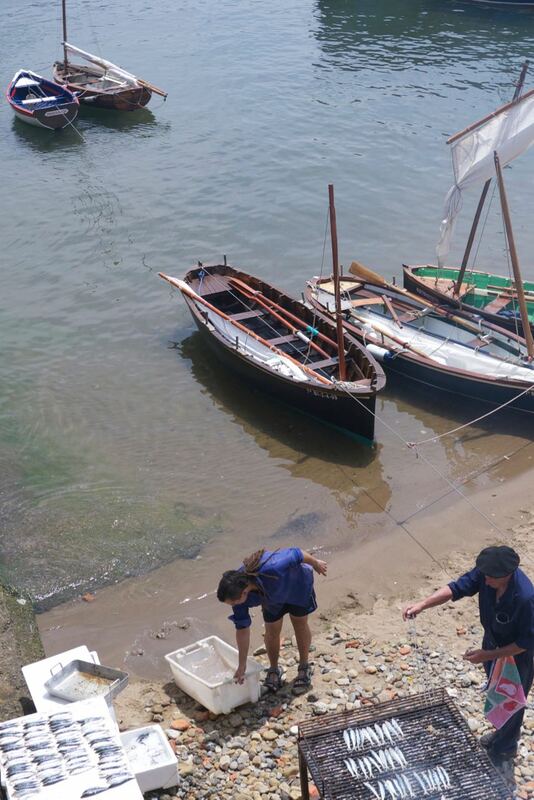 San Sebastian and Santander are lucky to have a string of city beaches to explore so you don’t even need transport. Bilbao’s Ria is also developing well and the walk from the city centre to Portugalete and on towards Getxo offers a trip through the city’s history. And inland, you should check out the ‘via verdes’ which are traffic-free green-ways for walking and cycling that have been developed along grassed over (disused) train tracks. The one near Santander from the Cabarceno Wildlife Park to Astillero is especially lovely for passing through pleasant wooded areas and perhaps having a picnic lunch at one of the former stations along the way. And the dozens of pretty ports make for great exploring also. Grilled sardines on the beach at a fishing village in the Basque Country. You won’t find fresher or tastier fish on your travels! Northern Spain is used to visitors enjoying its food and gradually it’s becoming easier to learn how to prepare these recipes. If you fancy yourself in the kitchen – why not learn to make your own tapas. 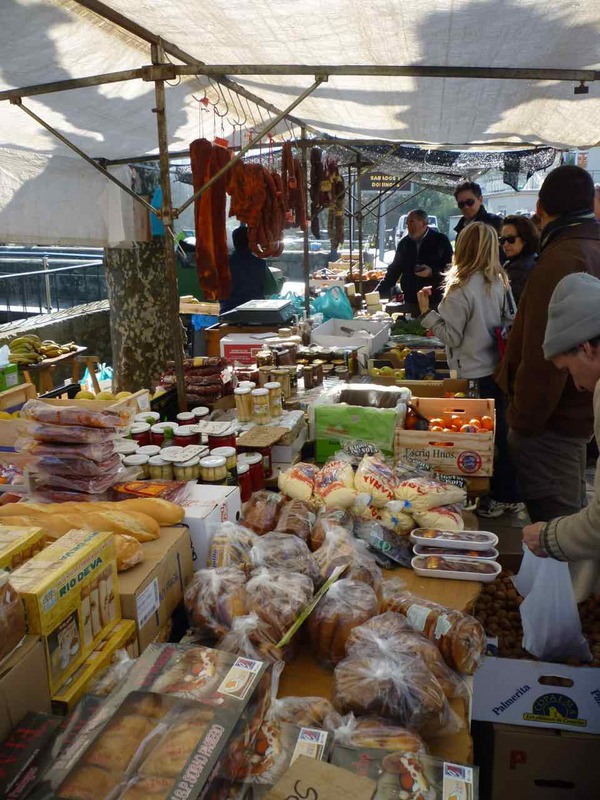 For example, in Santander, you can start out at the city’s amazing market which first opened in 1904. You’ll be met by your chef who will talk you through the ingredients and help you pick up everything you’ll need. You’ll both make your way to the demo kitchen and learn about the ingredients that are intrinsic to Cantabrian cuisine. And together you’ll create a number of dishes including regional specialties. If you wish you can also have a sommelier pop along to explain the local and national wines you should be tasting with your menu. Bilbao and San Sebastian also have wonderful food markets and a string of great places to practice making some of the key regional dishes. And in case that sounds like hard work (it’s not) you’ll be accompanying the session with some wonderful wines and learning about the ‘maridaje’ or pairing of wines with food in Spain. We’ve already explained the gastronomic societies which are private clubs – and make great locations for any cooking and socialising in the Basque Country. Ask us at Totally Spain about including something like this in your custom trip. But if you prefer to be away from the kitchen and out in the countryside, you should visit one of the many artisan food producers in the North. For example, an anchovy tasting in Santona (between Santander and Bilbao) – the home of the world’s best anchovy purveyors. You’ll do this at an anchovy filleting workshop – where you’ll learn why Cantabria is such a linchpin in the European anchovy sector. You’ll get to meet the people who work in this activity and see just how pure and simple the process is and how qualified the workers are. You’ll finish off with a tasting on site and pick up some tips for recipes that make great use of the anchovy. If none of that sounds appealing, how about a private tour of the El Castillo cave paintings (estimated at 150000 years old) , or a round of golf on the Royal Pedreña Championship Golf Course with lunch in the club house? You’ll be playing right in the shadow of the great Seve Ballesteros’ home and resting place while enjoying spectacular views over the bay to Santander. The siesta is a thing of the past in the big cities such as Barcelona and Madrid but in Spain’s second-tier boutique locations such as Santander, you will find the day is divided between what happens before lunch and after lunch. Many of the city’s stores will close from 1.30-4.30pm and we recommend that you embrace this time to eat and relax. If you are here in the summer, what better than to have a walk by the beach and enjoy a meal or coffee in a pretty square. In Santander, it must be Pombo Square and in Bilbao, the Plaza Nueva. And by the way, a waiter-served coffee while sitting on a terrace will rarely cost you more than 1.50 euros while a glass of beer isn’t that much more. If spas are your thing, you’ll find just what you need at Santander’s Thalasso Spa in the Hotel Real which offers sea water, mud, chocolate and even sea water snail massages! In San Sebastian, Hotel Maria Cristina can provide excellent pampering also. We also enjoy the Wine Spa in Laguardia which is perfect after a long day out and about visiting the wineries of Rioja Alavesa. 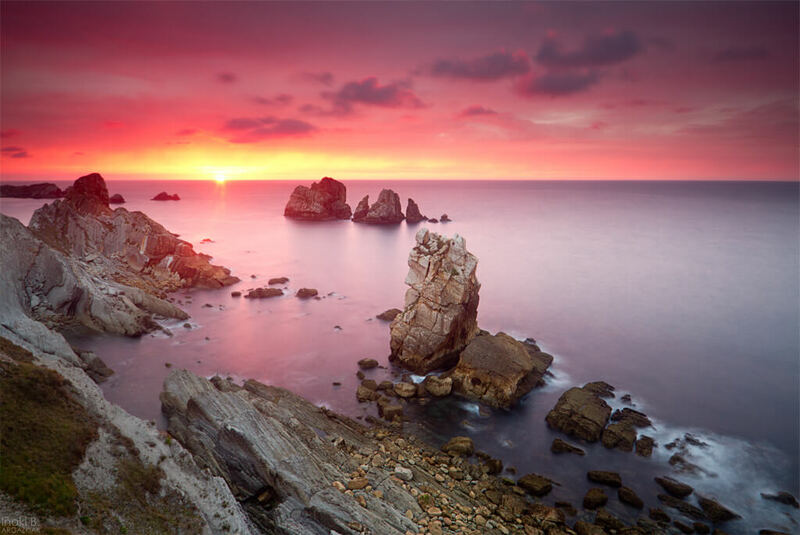 Of course – sometimes all you need is a wonderful coastal view to unwind – and the North of Spain has thousands of those. We also adore the coastline near Liencres – where you get a real sense of the expanse of water. Of course the beaches always look amazing – you can see that above. The views of the bay in Santander with a slice of the new Botin Centre are also wonderful. The Piquio Gardens over the bay always comes out great. Outside Santander, it’s hard to beat the El Capricho building in Comillas – one of the few buildings designed by Antoni Gaudi outside Catalonia (and featured in our guide to Cantabria’s best museums). In the Basque Country, Jeff Koons puppy was made for generating smiles and great photos and the Guggenheim itself in Bilbao is a massive pull – as are the colourful pintxos bars. But we love the smaller details such as an old man’s beret or rowers carrying their boats. Keep an eye out for a display of Basque sports which harks back to the region’s pre-industrialised past but is pretty impressive. Many of the ports along the coastline – from Orio to Bermeo and also inside Cantabria from Castro Urdiales to Astillero – hold regattas which are Instagram gold. 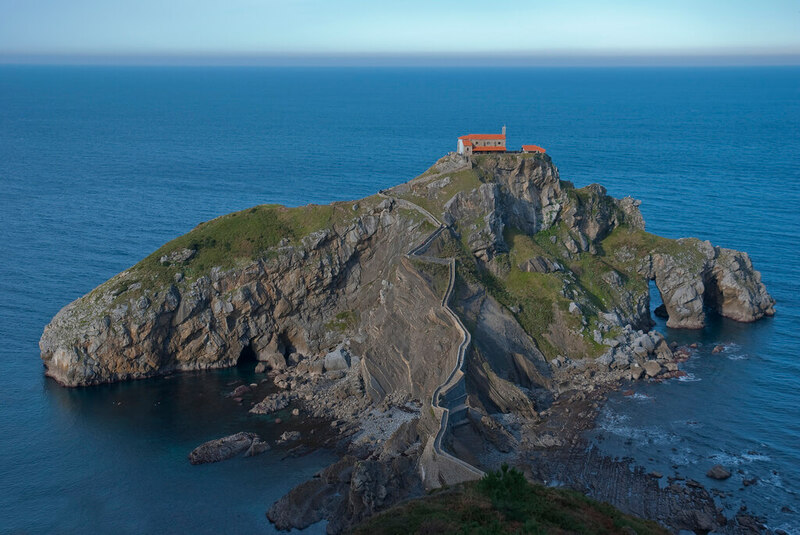 For something more spiritual and still, try Gaztelugatxe near Bermeo in the Basque Country – which is one of those almost mythical spaces – complete with hermitage and the most interesting access walkway you’ll ever take. We always recommend food shopping in Northern Spain. You can pick up some amazing items in the city and town markets and even in local delis. We also recommend wine-shopping – especially to those of you taking the ferry or driving overland home. El Corte Ingles is always a handy stop if you want to shop what the locals buy. But we love independent stores such as La Ruta del Vino in Santander. Wander around the ‘casco viejo’ or old quarters of any of the Northern cities and pick up local cheeses and the vacuum-packed kits for making up a traditional bean stews. You’ll also come across beautifully carved clogs known as ‘abarcas’, plus craftwork such as woven baskets and lots of the local and much-revered Orujo which comes in herbal and creamy varieties. You may already have sampled it in some of the restaurants – it’s usually offered on the house after a three-course meal. Don’t let the often tacky bottle designs put you off. The product is great! If you’re looking for international labels, you should go to Bilbao but if you like pottering around pedestrian streets browsing what the locals eat and wear, you’ll find lots to pick up in the main towns and smaller cities. Remember the canned goods from Santoña also – where you’ll find travel-friendly tuna and anchovies. You can usually pick these up at the airports if you’ve forgotten to do so while travelling around. Looking for something for yourself too? We recommend anything foodie or some great wine. Most market stalls will vacuum seal anything you order and all the supermarkets can do this. Pick up some cheeses, herbs, dried peppers, cured meats and wine. And all the other Spanish staples such as olive oils as well. Anytime from late Spring (April) through to early autumn (October) is perfect. If you like busy – you’ll find the coastal resorts buzzing during the Easter and Summer school holidays. If you prefer to travel during quieter times, May, June and the second half of September are best. Foodies will certainly appreciate the warmer months when seasonal items such as the Northern tuna fish and sardines are plentiful and the Basque and Cantabrian woods and forests will be very scavenger friendly in September and October. Unless you are looking to enjoy the snow on the Picos de Europa, don’t travel from November to March. That way you’ll avoid much of the chilly coastal breezes and snowfall in the peaks. If you must travel during Winter, be aware that Christmas is a time for family celebrations so you’ll find it a challenge to eat out on the 25th December – that said – there’s a great buzz and sense of fun and frivolity in the streets of the towns and cities. Santander has a traditional Christmas market by the Botin Centre and an ice rink open during the Christmas season. Mealtimes are different to everywhere else in Europe and nothing shouts “tourist” (and tourist prices) as much as a person having lunch before 1pm and dinner before 8pm. Unless you actually pre-book to eat somewhere earlier, you will not find decent food being served outside of the Spanish timetable which we have explained in detail here. You have been warned! Ready to explore all the best of Northern Spain? You can probably walk around with your handbag wide open, it’s so safe in Northern Spain. That said, if you are going for a swim at the beach, try to leave any valuable belongings at your hotel or locked in your car (out of sight). Even the least criminally inclined will easily identify your belongings as ripe pickings. You’ll save yourself the time and heartache of having to report a crime at the police station if you leave all valuables in your hotel safe. Tips are not expected but are welcomed. We have written about this in depth here – but in short, use small change for coffees and snacks. Euro coins for hairdressers, porters and other services of a short duration. Notes come into play in the posher restaurants and for services such as guides and private drivers who have been with you for over an hour or two. Spanish airports are clean, efficient and safe. You’ll find a bar or restaurant at every airport but shopping may be limited. For example, in Santander’s Seve Ballesteros airport you have a small duty-free inside security. Bilbao has some shopping outside and inside also. Remember to leave time to request back your taxes before you depart. We always recommend a private driver to meet you from arrivals and take you for your departing flight. That said, taxis are very safe too – you’ll just have to have a few words of Spanish prepared in advance. 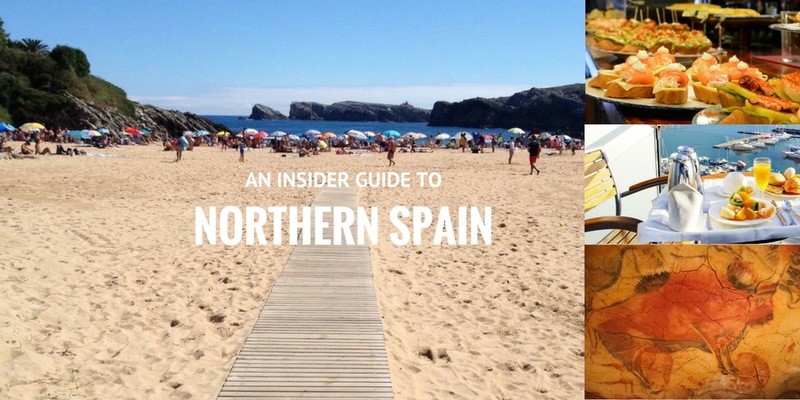 17 More Insider Tips on Northern Spain? Read our previous post on What to See in Northern Spain and check out our guide to Asturias, Galicia, Bilbao, San Sebastian, the Basque Country, and our other posts on Cantabria. Posted in Accommodation, Basque Country, Beaches, Bilbao, Camino de Santiago, Cantabria, Caves, Food & Drink, Getting Around, Green Spain, Guggenheim Bilbao, Insider Spain Guides, Museums & Galleries, National Parks, Popular Posts, San Sebastian, Santander, Useful Information and tagged Alhondiga, Altamira, Ana Martin, anchovy, Andoni Luis Aduriz, Annua, Antonio Banderas, artisan, Barcena Mayor, Bascook, Basque, Bilbao, Bodega Urbana, bodegas, bonito, Cafe Iruna, Calatrava, Camino de Santiago, Camino Lebaniego, Canadio, Cantabria, Capricho, Casa Daniel, Cenador de Amos, Chillida, Cosgaya, Don Pelayo, El Bulli, El Castillo, El Riojano, Euskadi, foodies, Fuente De, Gaudi, Gaztelugatxe, Getxo, Guggenheim Bilbao, Guide, Helados Lopez, Hotel Los Osos, how to, Idiazabal, Jeff Koons, Jesus Sanchez, La Jarradilla, La Moneda, legume, Liencres, Lierganes, Maria Cristina, maridaje, Mariscal, Marmitako, Michelin star, Monerriz, Mugaritz, Orujo, Pais Vasco, Pedrena, Philippe Starck, Picón Bejes-Tresviso, Picos de Europa National Park, pintxos, Pombo, Potes, Puente Viesgo, rabas, Renzo Piano, Royal Pedreña Championship Golf Course, Ruben Abascal, San Sebastian, San Vicente de la Barquera, Santander, Santillana del Mar, Santo Toribio, sardines, Seve Ballesteros, Silken Gran Hotel Domine, tapas, Thalasso Spa in the Hotel Real, travel, Txakoli, txoko, UNESCO Hanging Bridge, Villaverde de Pontones, Vincci Puertochico, Windcomb, Wine Spa in Laguardia, wineries, Ysios, Yuso and Suso.